Weber performance kit for Ford X-Flow 1600 engine. The kit includes 2 x 40 DCOE carburetters, inlet manifold, linkage and mounting kit. 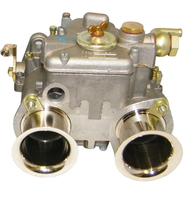 Unlike many of our competitors our carburetters come pre-calibrated to your engine.